Once again yoga prevailed as my morning workout. My whole body was just too sore to go running this morning, I could barely lift myself out of bed, let alone consider getting on a treadmill. Some of the yoga moves also proved difficult due to the soreness but the stretching helped ease the pain. I did manage to hold a difficult pose called the crow pose the whole time today, I guess I am getting stronger. Hopefully my body will be somewhat recovered for my third bootcamp tomorrow, I foresee much rest worked into my day today. Today I wanted to talk a little about breakfast and how I plan to make it healthier. 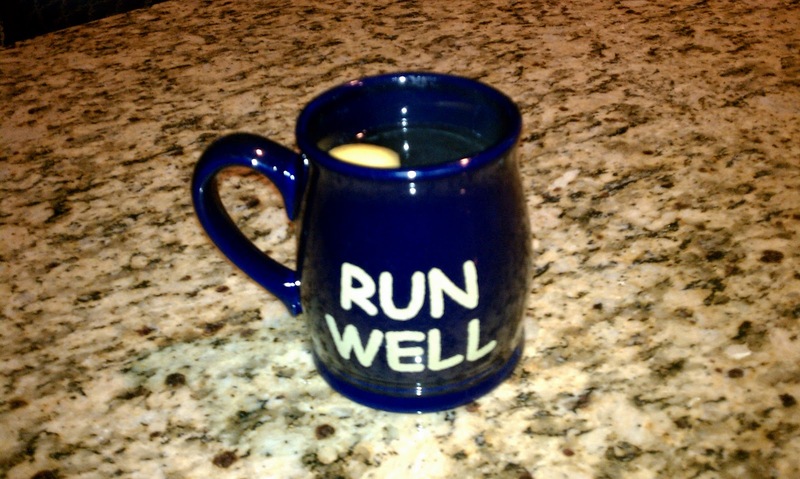 Each day I start out with a mug of luke warm lemon water. Warm lemon water helps to detoxify your system and is an invigorating way to start the day. About thirty to forty-five minutes later I usually eat breakfast. My main breakfast staple are eggs, I am obsessed, I can eat eggs twenty-four hours a day and basically like them prepared every way possible. I do like to mix it up and have yogurt, oatmeal or pancakes, but the majority of the time my breakfast consists of eggs. I do want to incorporate more whole grains into my breakfast and the perfect recipe jumped at me yesterday from the magazine Everyday Food. 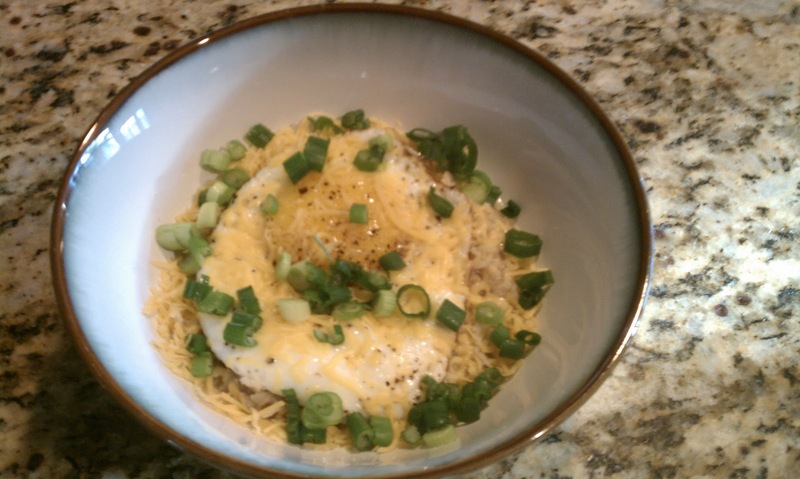 Basically this recipe consists of 1/2 cup oats, reduced fat cheddar cheese, scallions, and one egg fried just until the whites set, seasoned with salt and pepper. This breakfast was awesome and I got my whole grains and my egg….yummy! I would definitely make this again. Breakfast is the most important meal of the day, it gets your metabolism revving and it should give you the energy to make it through the morning. I very rarely skip breakfast even if it is just a Lara Bar in the car. I plan to incorporate more whole grains and yogurt into my breakfasts in addition to eggs. I will keep you posted on my progress. Excellent…breakfast is the most important meal of the day. It appears that you have included all the necessary nutrients in your breakfast. One suggestion is to have fresh fruit with that breakfast.